Interested in helping test the limits of learning, design and collaboration while making gorgeous structures in a fantastic space? Starting this Sunday I will be leading six days of fantastic building experiments at the National Building Museum and I would love for you, and your friends to come help. There are three building sessions each day, from Sunday through Thursday. The Building Experiments are smaller, faster diagnostic building exercises that focus on specifically testing things such as the impact of visual priming, group pattern recognition and the limits of non-directed group collaboration in design, and learning processes. These exercises encourage massive failure, quickly and often to fully explore the ideas at hand. Free Build! is the free-swim of the building world. Want to just mess around for a little bit with your friends or children? This is your time to shine. The daily Building Adventure merges and tests many of the overarching concepts at once, while really testing the idea of making-as-a-tool-for-dialogue. 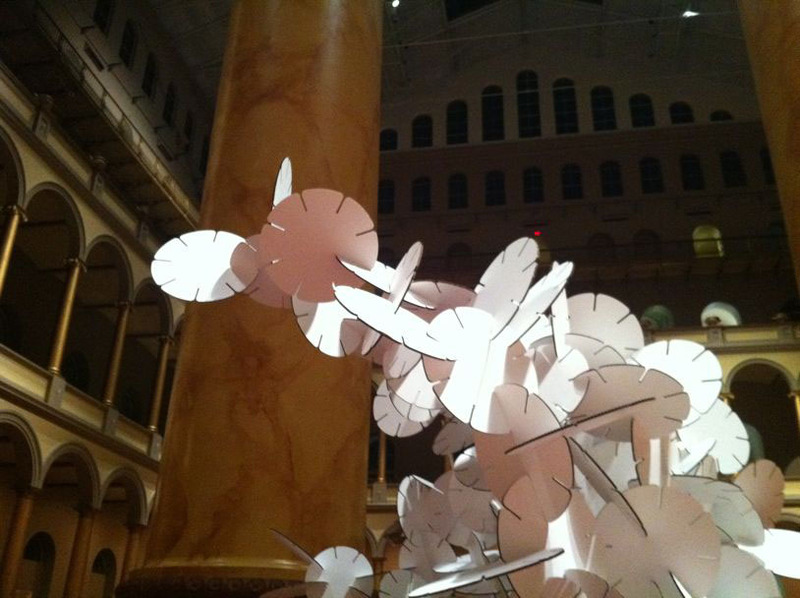 Each Building Adventure results in a singular, massive structure or series of structures (that have not been designed in advance) that users of the National Building Museum will get to inhabit, interact with and argue over as they leave work in the afternoon, and arrive in the morning. For more information on this portion of my Fellowship research, click here. I am incredibly grateful to Domaform for generously helping support these workshops and this project. Domaform is a modern kitchen design, retail, and manufacturing company based in Washington, DC. Founded in 2006 as a design firm, it began manufacturing modern kitchen systems in 2011. 6.00-9.00 For The Greener Good and Young Professionals Event: Light building and conversation.